The term ‘glamping’ often brings to mind visions of flowering meadows, cone-like tents and wholesome campfires. 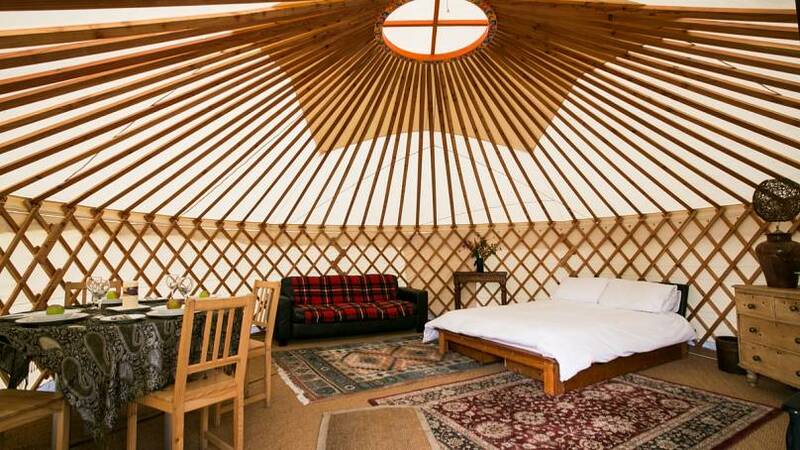 Apple Camping certainly has all this - you’ll find six Mongolian yurts set amongst four acres of rolling fields - its got something a little usual to offer as well. 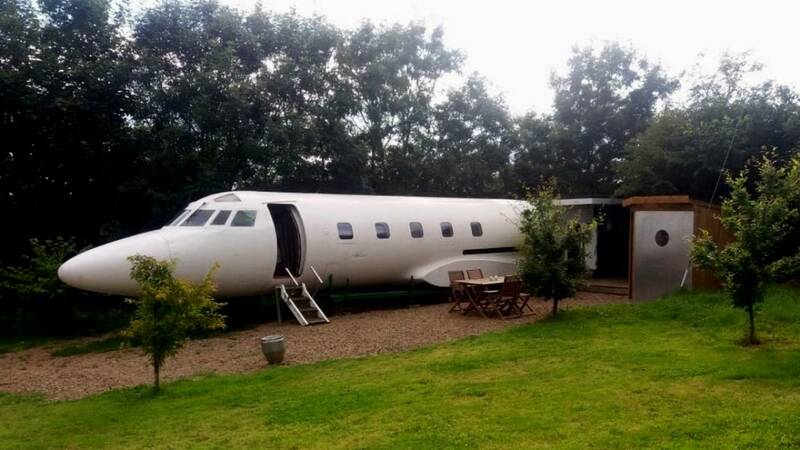 Tucked away behind a small copse of trees you’ll find The Jetstar - a real 1970s luxury private plane that’s found a new purpose as a cabin and behind another you’ll come across a spaceship - yes, you read that correctly - that doubles up as futuristic style living quarters. Intrigued? So were we, which is why it’s been awarded our glamping pick of the month. Aside from the accommodation, the site has plenty of other credentials to recommend it. There’s a communal kitchen and modern shower block as well as barbecue and kitchen areas outside each of the yurts. It’s also just a five mile drive from Tenby beach, so day trips to the seaside are easy to organise. The novelty factor of staying in a jet or spaceship over night will certainly appeal to any aviation or science fiction fans and each of the spaces has a unique appeal. In the Jetstar, you’ll get to sip your morning coffee in the cockpit whilst playing on the built-in xbox and enjoy dinner in the plush leather seats of the main cabin before retiring to bed in the small room attached at the back. The UFO is equally unusual - offering campers clinical accommodation that includes a small kitchen and living area. Though it couldn’t be described as cosy, its four-person size makes it perfect for a family of four and if your children are fans of Star Wars, it’ll offer them an adventure they’ll remember forever. Those after a more traditional glamping experience have plenty of options to choose from, ranging from basic to luxurious. Our favourite is the Rosebud Yurt, which offers a spacious retreat for couples after a romantic weekend. With its own log burner and slouchy leather sofas, it’s a great spot to hunker down with a bottle of wine and a blanket. Barbecues and simple kitchen facilities are available outside each of the yurts and a larger communal kitchen area is available if your cooking plans are a little more ambitious than hotdogs and salad. If an evening of no cooking sounds like music to your ears, head for dinner at The Mooring, where the freshly prepared, local produce you’ll find in the simple dishes speak for themselves. As mentioned above, Tenby is easy to get to, so if you’re after a salt-of-the-earth, English seaside experience, you won’t be disappointed. If sunbathing in UK temperatures doesn’t appeal, take a day trip across to Skomer Island, a rocky outcrop that looks more like it belongs off the coast of Africa than Wales, thanks to its dramatic landscape and resident family of puffins, which can be seen going about their daily business. If novelty is the name of your game, it doesn’t get much more original than spending the night in a UFO. Apple Camping offers quirky adventure and basic living - the perfect solution if you’re looking to lighten up, have a bit of fun and get back to simple living for the weekend.